You can also follow @TundraBooks, @PaulaWeston, and the wonderful bloggers on twitter! 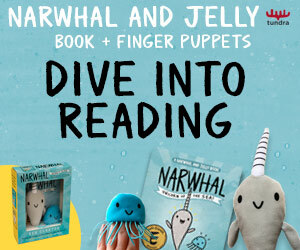 We’re also on facebook: Tundra Books, Paula Weston, and The Rephaim. Need a refresher? Check out our blog tour for Shadows. That’s not all! We are also running a giveaway during the blog tour! The prize? A signed copy (YES!) of Shadows in hardcover and a copy of Haze in hardcover. We have THREE sets of these!!! You’ll be well on your way to catching up before Shimmer and Burn is published. What do you have to do to enter? 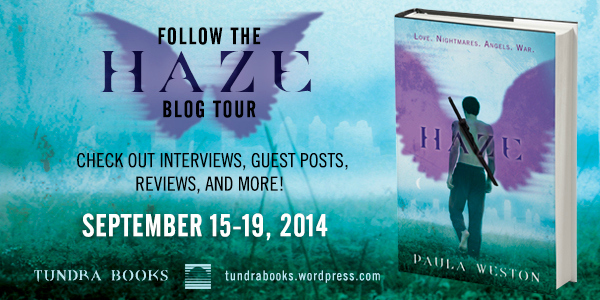 Follow the blog tour and leave a comment on any of the participating blogs, but it must be on their Haze blog tour posts. So go visit their posts! We will be updating the links daily to make it easier for you to follow the blog tour and enter the giveaway. Details: Here’s the best part, you can leave a comment on ALL of the blogs and that will count as multiple entries! Spamming doesn’t count, only thoughtful comments on the blogs please.